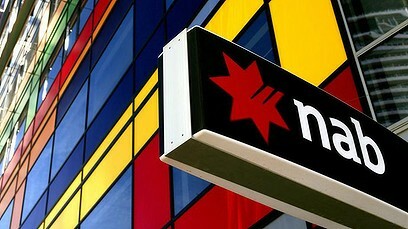 Well, after nearly fifteen years with National Australia Bank, I’m moving on. Wow, feels weird just saying that! 15 years! That was before the Y2K bug, before Facebook or Twitter, before I met my wife and had kids! The world was different when I took my first job with one of the ‘Big 4’ Australian banks. Everything changed while I worked for NAB. Leaving after so long feels a bit like a marriage breakdown. It’s a little painful, and I suspect my other half has been having an affair with someone half my age. You see, leaving NAB wasn’t all my choice. My role of the past 9 months was cut following a restructure (typical middle management cost-cutting). Whilst I was encouraged to ‘investigate other options’ within the organisation, when faced with redundancy for the fourth time and with the option of retrenchment (with a package) – none of the available roles really appealed to me. After all, the job l was in was what I really wanted to do at this point in my career. My eventual demise (in employment terms) probably came as a shock to my colleagues, if not the same people that chose my role for the chopping block. After so long with the one place, I carry a degree of knowledge, skill and capability specific to the company and industry. With a young family, job stability and a good income are almost mandatory. I guess they just figured I’d bide my time in another role while I waited for something more acceptable to materialise. I guess they figured we’d just ‘kiss and make up’. REALITY – If I’m going to have to put up with a job I don’t want in the same organisation, I may as well take the cheque and risk having to take a job I don’t want out in the real world. At least then, I won’t have the same debt pressure I have today. So, when weighing up the pro’s and con’s of leaving – the chance to clear some debt and become the master of my own destiny, voluntary retrenchment was just too hard to resist. No doubt my job function will probably be handed over to the next generation, maybe outside of Australia, probably for a lot less money. Yep, this marriage was no longer conciliatory. Sometimes you just need to let go.. Relationship breakups are hard, but a healthy cheque at the end of it will certainly ease the pain. If I jump straight into bed with someone else (colloquially speaking) then that will just be icing on the cake! There’s nothing quite like a fresh start. Soon I’ll head into the open market for the first time in a long time. There will be no excuses – I am going to be worth what I’m worth – with every chance to make the choice of what to do next. Is that an exciting prospect? Of course – I almost feel institutionalised being so long at nab. Is this an opportunity to succeed? Absolutely! You don’t know what you don’t know, but I know I’ve been at the forefront of digital banking in Australia for the past few years. Am I scared? Oh, god yes! ..It’s been a long time since I’ve had to apply for a job. And, whilst I have some contacts, I know the labour market is a challenge. I’m going to need to draw on all my strengths (and people I know..) to ensure my next move is successful. When all is said and done, I leave NAB on good terms. I’ve met so many people, some of whom will be friends for life. I’ve learned so much and had the opportunity to shape the organisation and directly contribute to it’s vision. I feel proud of my time there and will miss it. I won’t miss Lotus Notes, 555 Collins St (particularly the lifts), or the ‘sustainable’ instant coffee [maybe something for another post…]. The big wide world awaits and, even though it looks strange, I’m content that the first 2 pages of jobs on my resume are all from NAB. as a current employee of nab though at the bottom of the totem pole – all the best for your new endeavours.